Brighton musician and maker Timothy Didymus will present his glass Harmonica project, Kosmiches Glass. 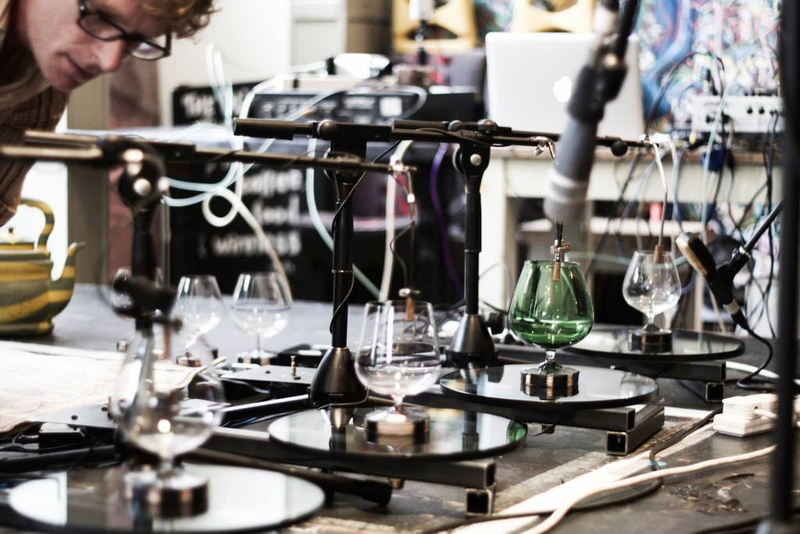 Twelve tuned (brandy) glasses are mounted on MIDI controllable turntables, creating a playable/ scriptable mechanical acoustic instrument with beautiful polyphonic voice. Following a demonstration of the glasses in action, Timothy will talk about the inspiration behind and development of the project and will be happy take questions on any apsects of the project – aesthetic, technical, logistical etc. This will be of interest to music, music tech and sonic media students – or anyone with an interest in new musical instruments.